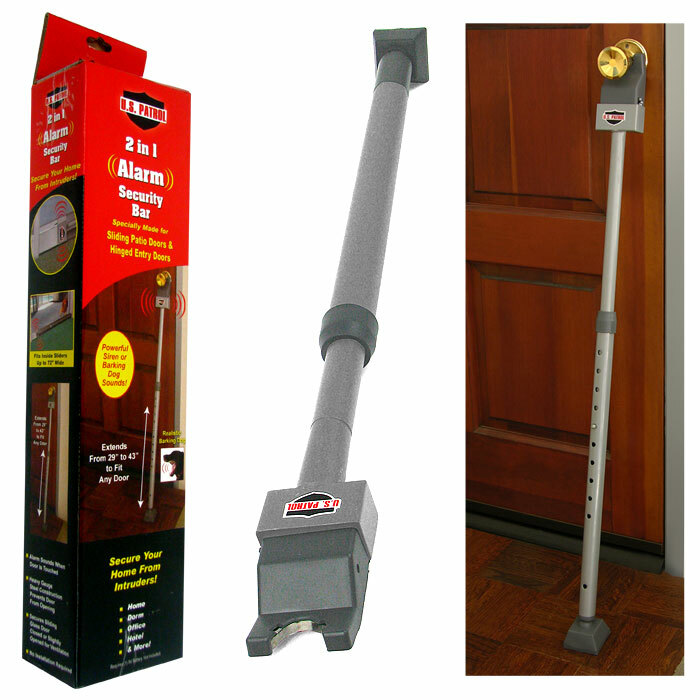 This 2 in 1 Alarm Security Bar is specially made for sliding glass doors and hinged entry doors. 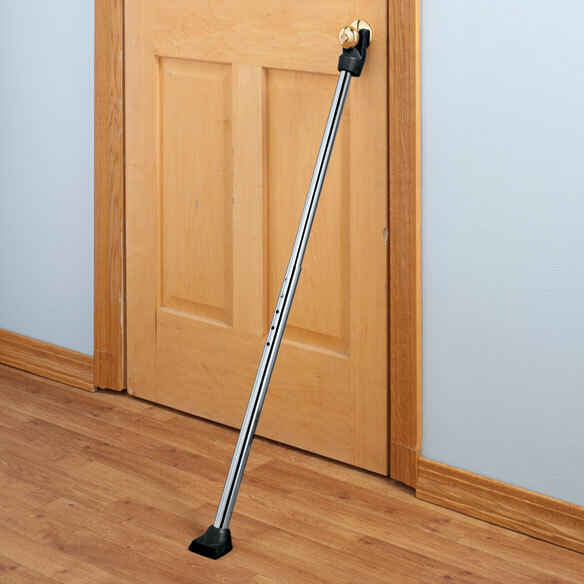 As soon as someone pushes the door, the alarm will sound like a powerful siren or barking dog to warn you that someone is trying to enter. An effective way to frighten away intruders. Easy no tool installation. Constructed of heavy gauge steel and uses one 9-volt battery (not included). Powerful Siren or Barking Dog Sounds! 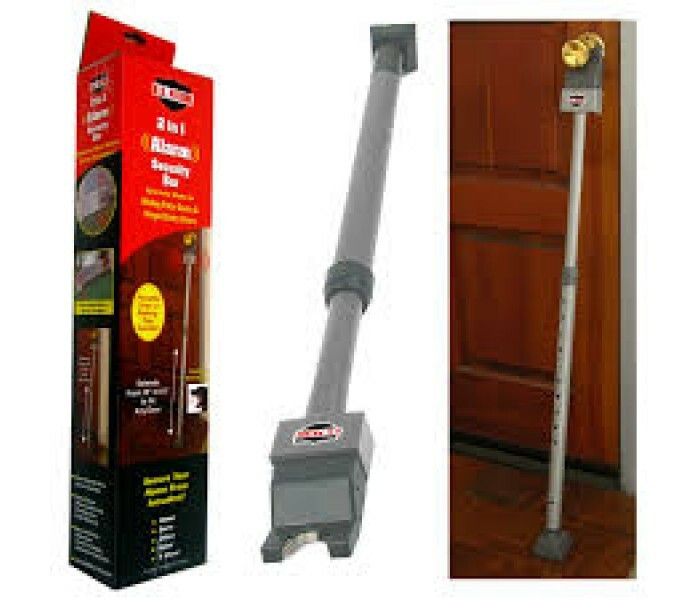 Secures Your Home from Intruders! 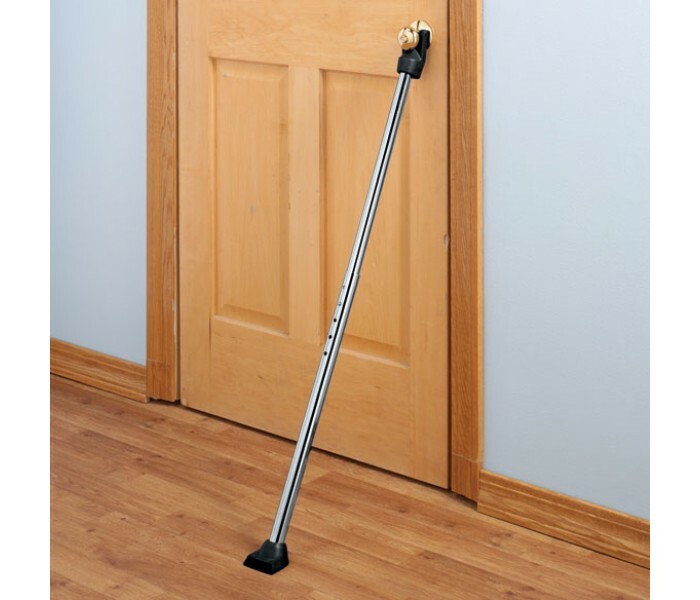 Protects Any Room Any Time: Home, Dorm, Office, Hotel & More!